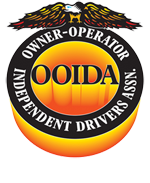 The first impression of your cab usually starts at your truck’s door handles. Because of constant use and exposure to the elements, semi truck door handles can rust and wear out quickly. All of our door handles meet OEM specifications and are matched to fit your make and model of truck exactly. Don’t let a broken handle ruin your productivity and replace your broken door latches today. You can order either the driver side or the passenger side assembly so you don't have to buy a pair if you don't need to. We have door hinges and door checks for some makes and models as well.